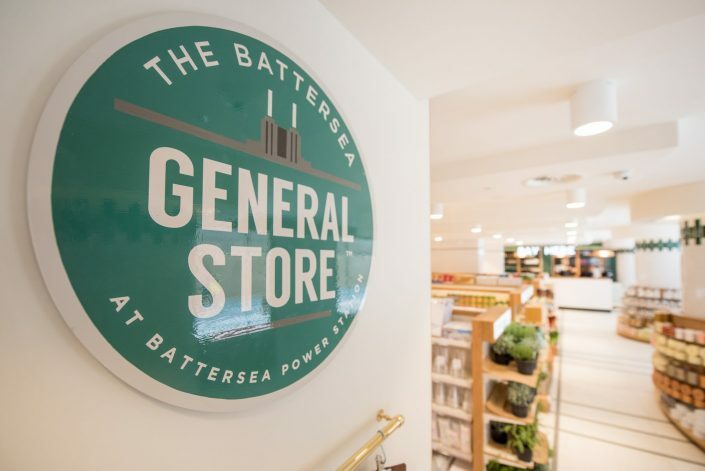 On the western side of Battersea Power Station, The Battersea General Store is an integral part of a thriving and vibrant community in Circus West Village. 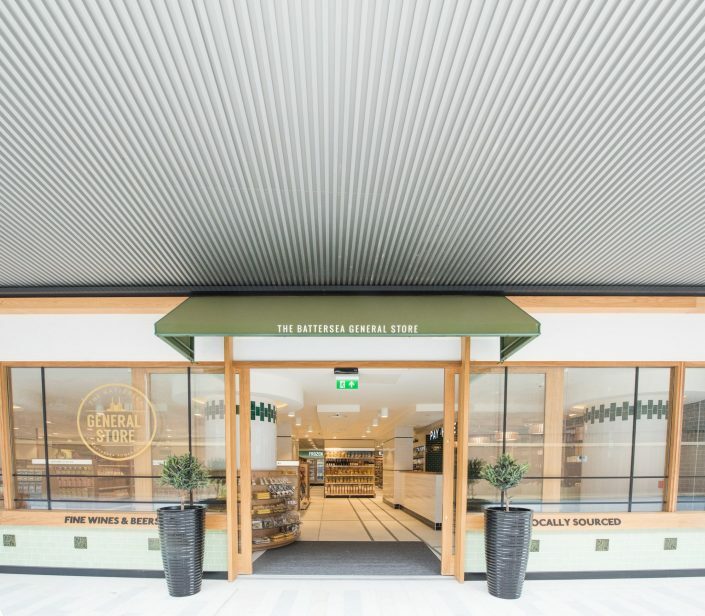 The decision within the redevelopment project for the area to endeavour to install independent retailers rather than large chain merchants was influenced by an aspiration to create a community feeling in this part of London. 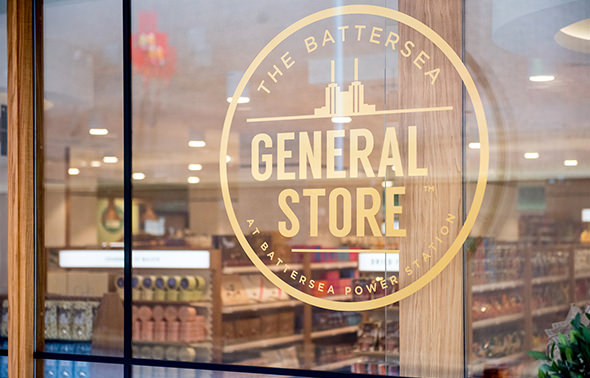 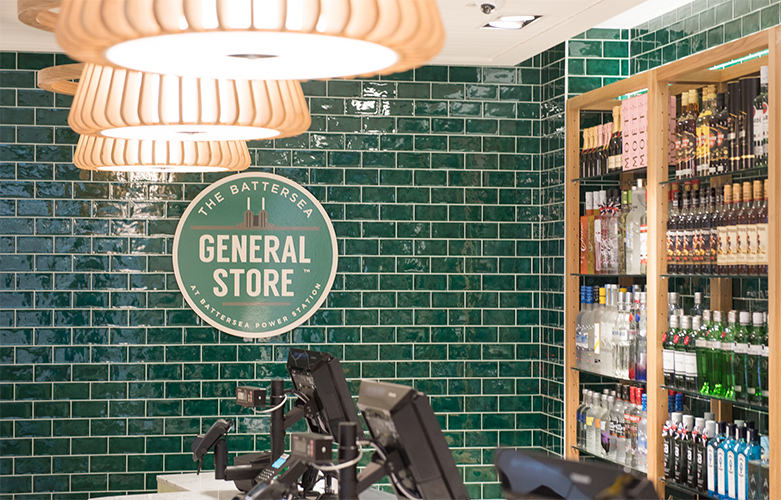 Brief: The design brief for The Battersea General Store was to be unequivocally original. 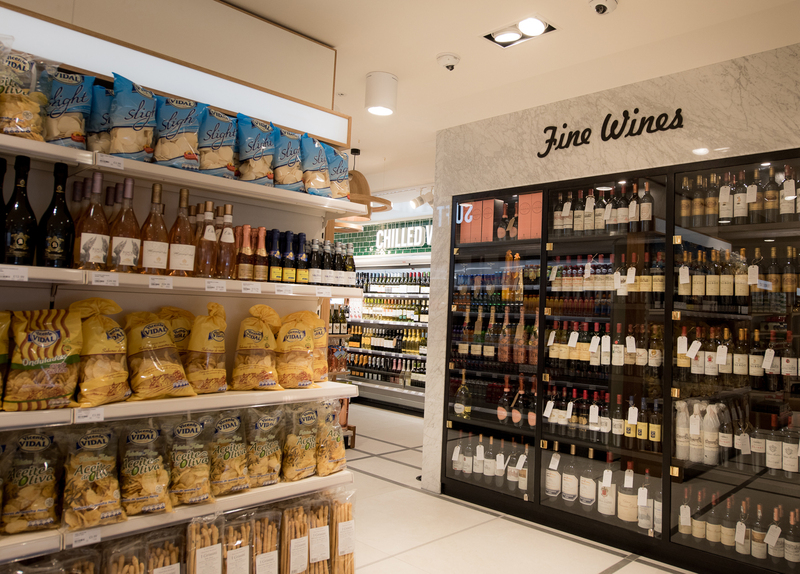 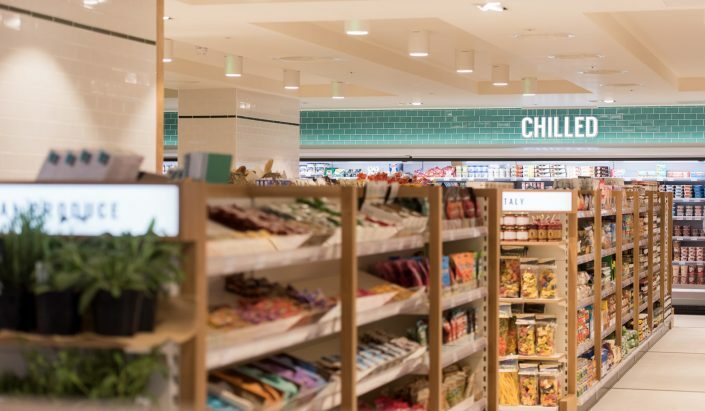 No narrow aisles or stark lighting like conventional chain supermarkets; the design was required to create a more welcoming environment where customers feel at home to take their time to browse to chat and to meet. 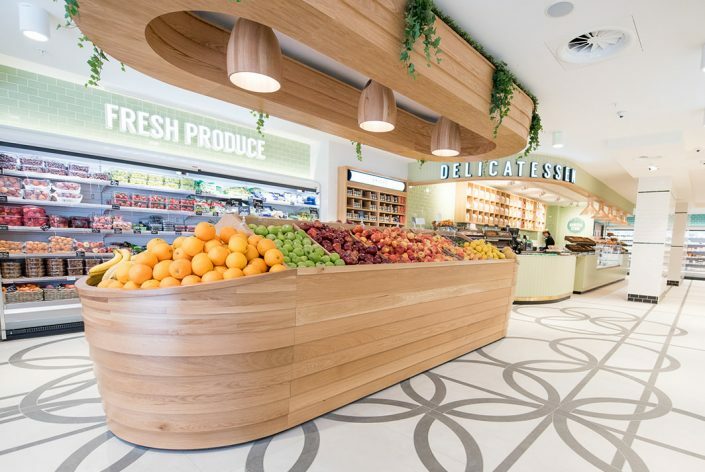 Whilst the environment was to be warm and inviting, the design needed to reflect the vibrant and urban feel of the area. 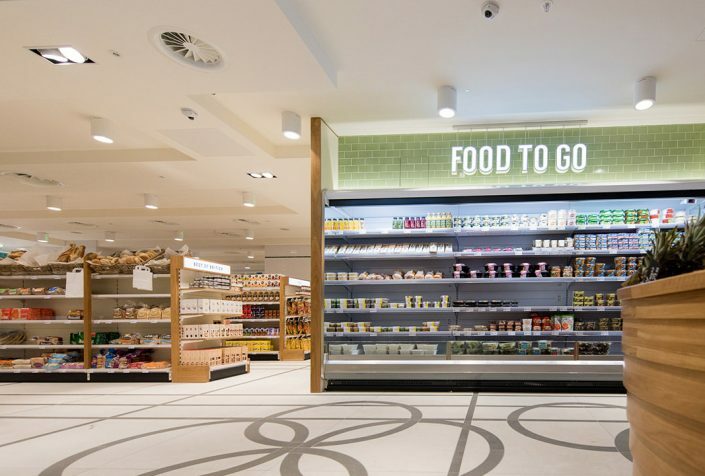 Technical: Our client’s vision to push the boundaries of a typical grocery store whilst remaining practical and versatile for its customers made for an exciting technical project for our team. 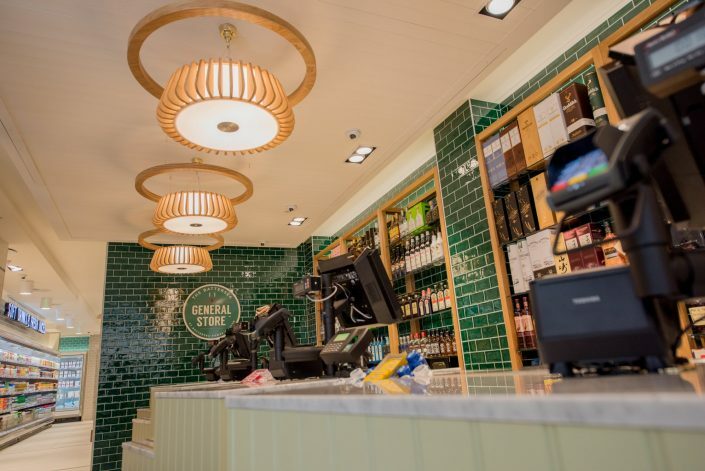 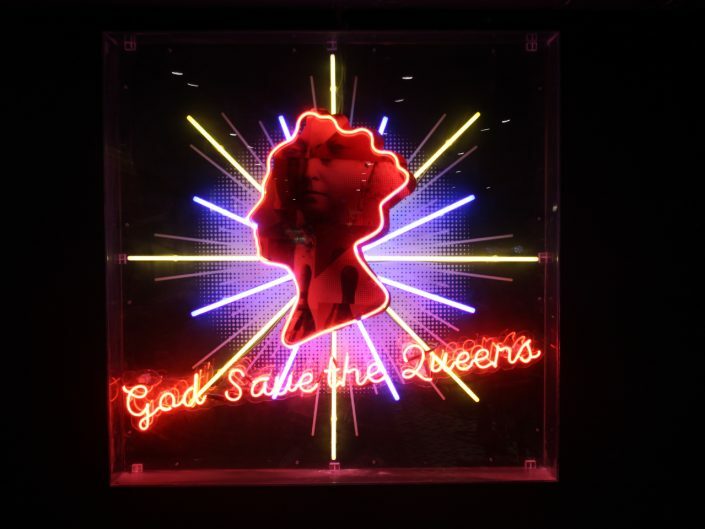 Each item of furniture within the store as well as the floor, tiles and ceiling was carefully designed and made specifically for this project and the bespoke signage and lighting was no different. The bright and fresh signage for the store was created using warm and cool white LEDs giving the store smart and simple illumination perfectly paired with traditional sign-writing methods to ensure a welcoming and friendly atmosphere. 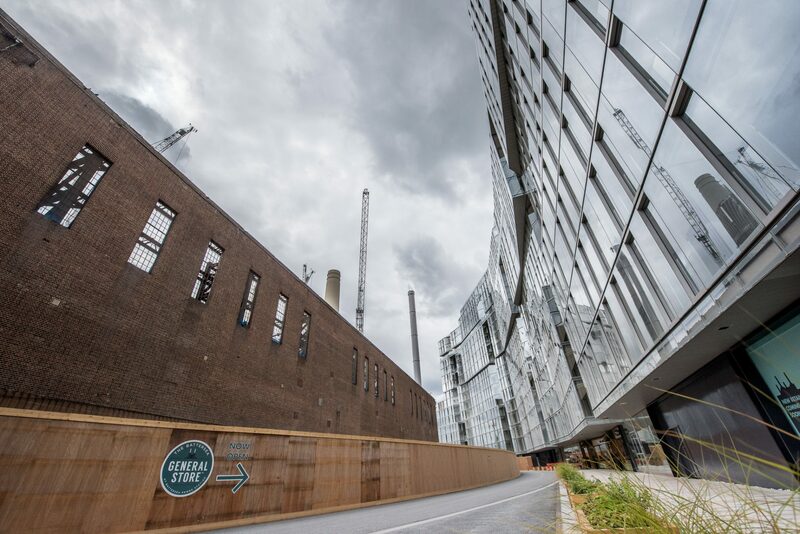 The colour render index (CRI) of the lighting was carefully chosen to give a feeling of natural light. 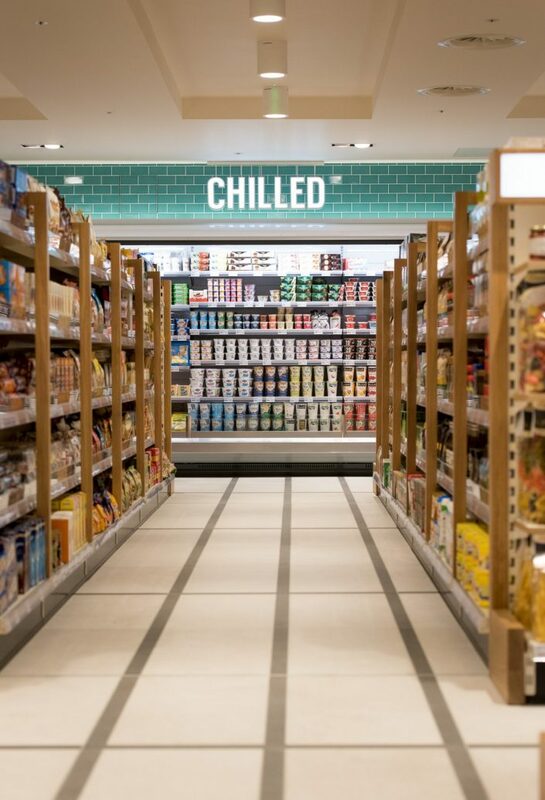 Individual areas of the store utilise lighting with different tones and hues in order to have subtly separate zones and to create more visual interest. 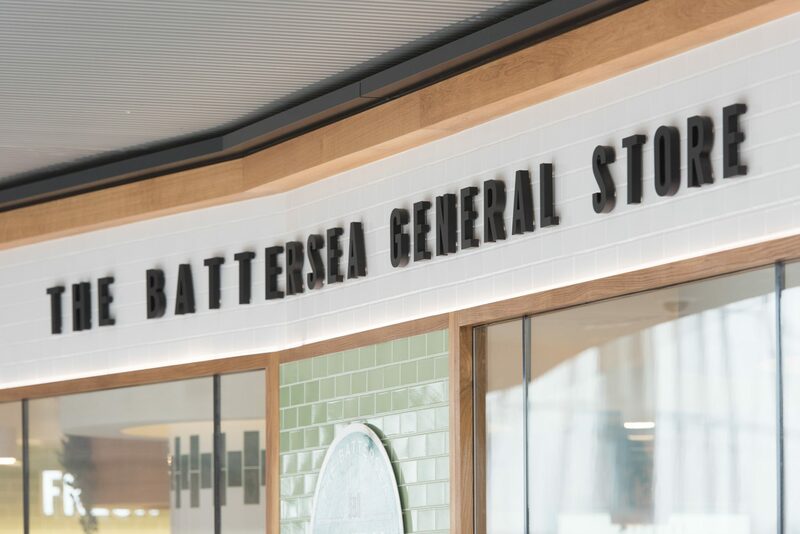 The shop front signage was created with built-up aluminium letters with a powder coat finish. 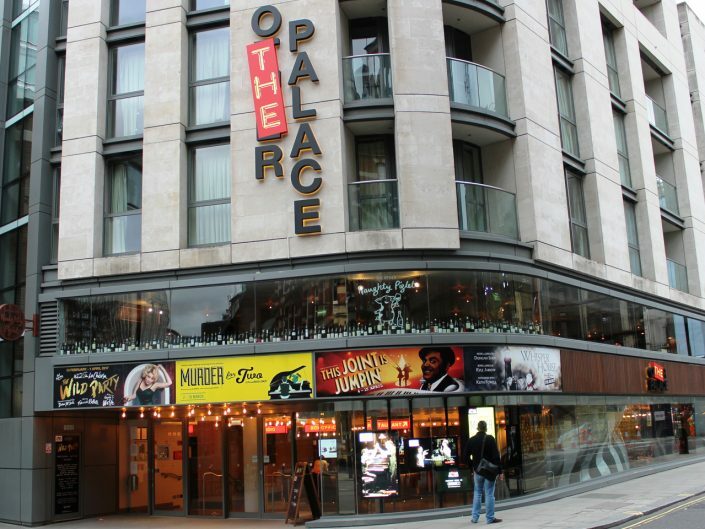 The lettering is illuminated using warm white Mood LED lighting housed within a specially designed track above the lettering. For the interior branded round plaque, we created a 3mm aluminium roundel, traditionally sign-written with the iconic Battersea Power Station image. 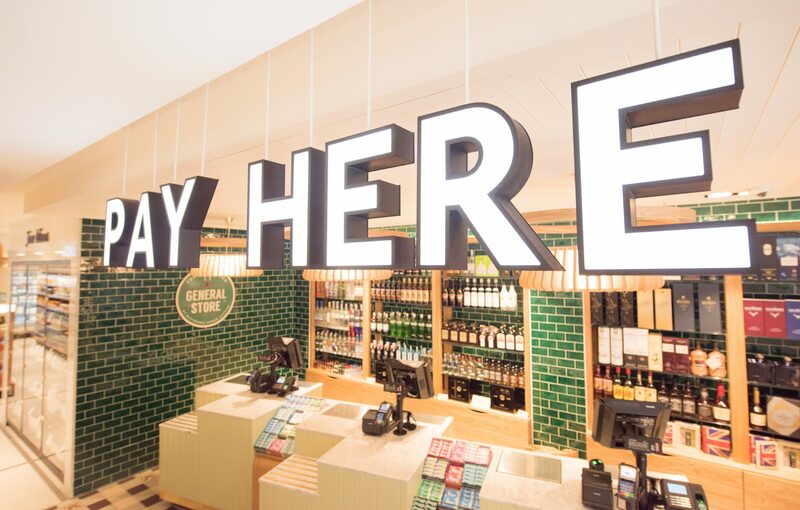 The interior shop wayfinding signage was created using built-up rim and return aluminium letters with cool white LEDs housed on full aluminium back trays providing a smart face illumination. We introduced directional track lights to enable us to highlight the areas that needed additional attention. 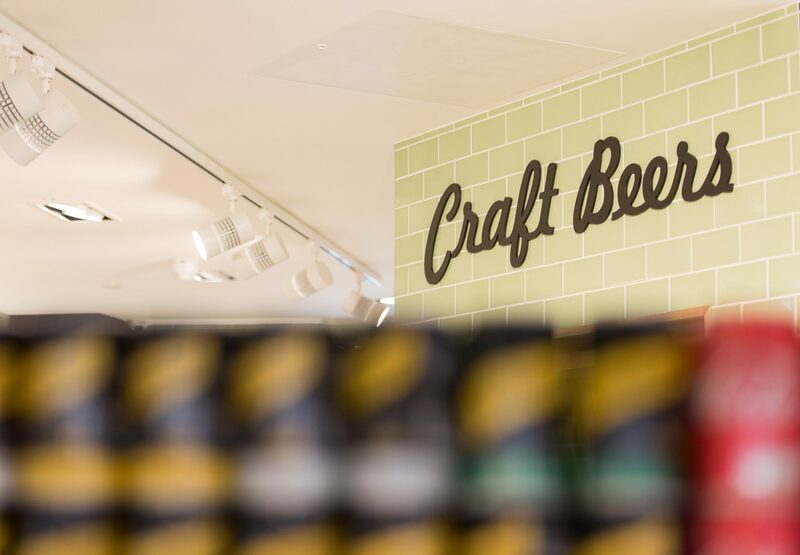 The store’s signage was installed to ceiling using a bespoke rod fixing system designed by Mood Signs. 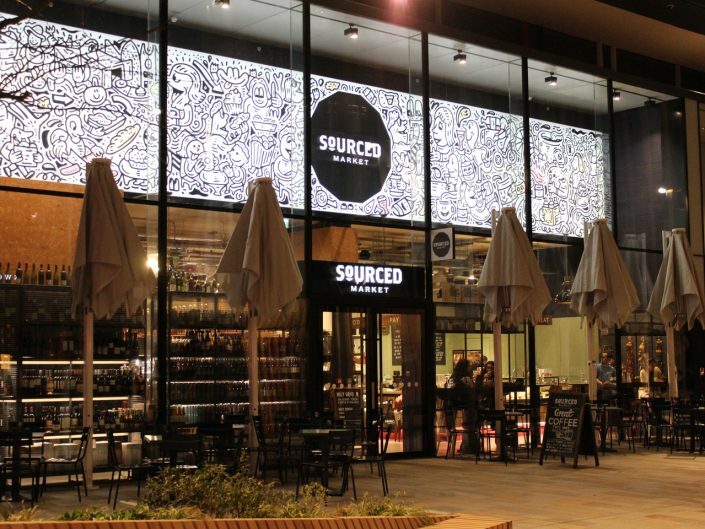 Reverse applied window vinyls complete the signage on this totally bespoke project. Mood Signs Ltd’s extensive experience of bespoke shop signage enabled us to meet and exceed the client’s expectations on this exciting and unique project.